In dem Interview be- und hinterfragt der Moderator Aaron Schere den Senator hartnäckig, warum er bei der Frage Staatsausgaben zuerst für Kürzungen war, und jetzt neue Ausgaben haben will. Neben dem Interview erfahren wir noch, dass die zusätzlichen Ausgaben fürs Militär, die Admiral Bishop mit der Kriegerklärung an die Vanduul erreicht hat, insbesondere Firmen wie Clark Defense Systems und auch RSI zu Gute kommen, die lukrative Aufträge des UEE Militärs ergattern konnten. 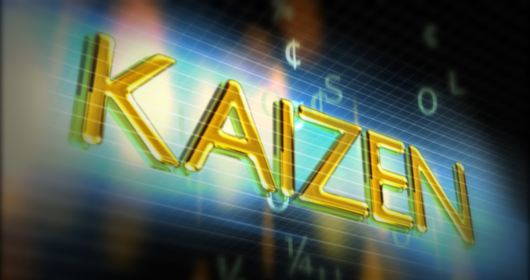 And we’re back with more Kaizen. Once again, I’m Aaron Schere, here to guide you through the jump point to financial solvency. Today, we’re focusing the second half of the show on government spending, which has increased considerably over the last month. Spurred on by the declaration of war against the Vanduul, the Senate can now expedite any expenditures earmarked to aid the effort. Numerous such measures have been passed since then, adding billions to the budget deficit. As in all economic situations, there are winners and there are losers. Senator Kyle Polo will be joining us shortly to voice his concerns, but before that, let’s look at who’s reaping the benefits of this military surge. Today, Clark Defense Systems revealed that they will be opening a new production facility on Cestulus. CDS plans to have the plant operational within the next few months. The announcement comes on the heels of the company being awarded a large military contract to develop a new line of next-gen armor. In similar news, I’m hearing that RSI has landed what is being called a substantial contract from the government. Exact details are under wraps, but one insider claims that it isn’t a standard order of ships and parts. Supposedly, the company’s facilities in Kilian are being expanded and revamped to accommodate the custom order, and a slew of job openings are to be expected in the near future. New facilities and new jobs are just two examples of benefits from the explosion in military spending. Many economists expect the windfall to stream through a lot of different sectors. Still, some within the government are balking at the new expenditures, claiming the spending is minimally effective in the short-term and potentially devastating to the budget in the long-term. Joining us now to further discuss the Empire’s recent expenditures is Senator Kyle Polo. Welcome to the show, Senator. Senator Kyle Polo: Thank you. Now most people would recognize your name from your recent controversial budget proposal that would have drastically cut military spending. Yesterday, you visited the Ferron System and held a press conference in Tram to announce your latest bill, which is intended to end the city’s police strike. Your plan involves spending the Empire’s credits to increase the police force’s budget so they can upgrade equipment and arms; even to pay higher salaries in an effort to attract new recruits. After leading the charge to cut government spending, you’re now asking the UEE for a substantial sum for a project that solely benefits one city. Why the sudden change of heart on government spending? Senator Kyle Polo: There’s a common misconception that the initiative was only about cutting spending and reducing government services. That’s not true at all. Its goal was to more evenly distribute government spending amongst all essential agencies. Of course, the military receives a disproportionately large amount of the budget, and thusly, was on the hook to have more of its funds reallocated to other important projects like this one. Is this in any way an effort to keep the Polo Initiative alive by passing its essential components piecemeal through the Senate? Senator Kyle Polo: You don’t come as far as I have politically without knowing how to identify a lost cause. That said, simply because the initiative failed doesn’t mean I’ll abandon the ideas and policies that built its backbone. Skyrocketing spending is still a concern of mine, but so are the people of Tram. For far too long they have lived without law and order. Their safety and security are crippled because the police department isn’t equipped with weapons commensurate with the loadouts of the outlaw gangs that run rampant in the streets. If this Empire is looking to spend credits to protect its people, then Tram needs to be high on that list. Any Senators that don’t believe that Tram is a war zone should visit the city without their bodyguards and see how safe they feel. Senator, your intentions are admirable, but doesn’t your bill get the UEE government involved in a local issue? Aren’t Tram’s fiscal troubles ultimately their own responsibility? Senator Kyle Polo: The UEE’s Common Laws guarantee that fundamental rights will be maintained in every system. We’ve waited long enough for the situation to be resolved at the local level. Now is the time for the UEE to live up to its promise. Senator, yesterday you gave a press conference in Tram, which isn’t exactly in your system. There are rumors that your political ambitions go farther than your seat in Croshaw. Senator Kyle Polo: Listen, the people of Tram may not be my constituents, but that doesn’t stop me from being concerned about them. The well-being of Tram directly affects Croshaw. Since the start of the police strike, trade between the two systems has fallen by over 50%. Haulers don’t feel safe in the system. That doesn’t just hurt businesses in Croshaw and Tram; the lost taxes and tariffs hurt the entire Empire’s bottom line. Arguing that this is a local issue simply fails to see the big picture. Many would contend that this issue’s impact on the economy is inconsequential. That any potential gains would not even come close to covering the cost. How do you respond to those claims? Senator Kyle Polo: As a Croshaw native, I know intimately how Tram has helped this Empire. The streets I walked on, the buildings I grew up in, were literally cut from its veins. The opera house in Terra, the underground domes of Davien, both were built from materials sourced from just outside Tram. In fact, there are only a few UEE systems that have not benefitted from this planet’s incredible sacrifice. It’s high time the Empire returns the favor. Considering the current state of the budget, is this really the moment to be presenting another spending measure? Senator Kyle Polo: It’s as good a time as any. I know this isn’t considered an emergency wartime expenditure, so it will face a much more arduous approval process in the Senate, but everyone is entitled to safety and security. Common Laws are part of the fabric of the Empire; it’s always the right time to enforce that. Last week, the Senate approved a massive R&D measure for the military. If ten percent of those funds had been set aside for Tram, then the financial component of this bill would’ve been fulfilled. The Tram police force would be able to upgrade their equipment and not worry about being out-gunned by outlaws. Considering the colossal amount of credits the Empire is currently spending to defend the Empire, it’s literally a small price to pay to bring peace to an important system. Not when the money is being diverted to a city and police force that has a well-documented history of corruption and mismanagement. Senator Kyle Polo: The quickest way to end corruption is to inspire trust. To show that we, as an Empire, are committed to getting this once great city back on its feet again. Well, we’re going to have to end it right there. Thank you to Senator Kyle Polo for joining us today on Kaizen. I’m Aaron Schere. Until next time.